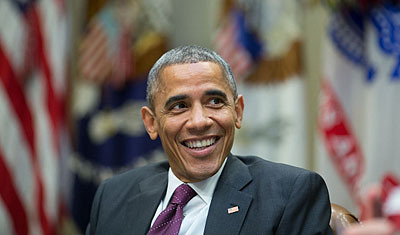 The annual Gallup poll of the most admired man has just picked President Obama. Even among Republicans he tied with Pope Francis. But to hear some Republican elected officials and pundits, Barack Obama is the devil incarnate. If he says the sky is a little cloudy, they will say it is clear. So what is going on? Are people finally catching on to what he has accomplished? Are people starting to look beyond the media’s short attention span? I don’t have any answers, but I know that the President has managed more than one could ever imagine given the Tea Party and solid Republican opposition to everything he proposes. Even people like Paul Krugman, who one would think would be a supporter, was not. But Krugman has changed his mind and in October wrote a widely circulated defense. When it comes to Barack Obama, I’ve always been out of sync. Back in 2008, when many liberals were wildly enthusiastic about his candidacy and his press was strongly favorable, I was skeptical. I worried that he was naive, that his talk about transcending the political divide was a dangerous illusion given the unyielding extremism of the modern American right. Furthermore, it seemed clear to me that, far from being the transformational figure his supporters imagined, he was rather conventional-minded: Even before taking office, he showed signs of paying far too much attention to what some of us would later take to calling Very Serious People, people who regarded cutting budget deficits and a willingness to slash Social Security as the very essence of political virtue. I certainly haven’t agreed with everything Obama has proposed or done, but no one agrees with anyone else 100% of the time. And there have been some scary moments. Remember the “Grand Bargain”? But we can list as accomplishments the Affordable Care Act, Dodd-Frank financial reform (despite the reluctance of Congress to fund the Consumer Protection Bureau and the recent gutting of the prohibitions on banks and derivatives. ), the steady improvement of the economy (the only one in the world not on the verge of tanking again) and the ending of our combat roles in the wars in Iraq and Afghanistan. But I just don’t understand the continuous bashing by everyone. Plus, I firmly believe that the mid-term elections would not have been quite so bad if the Democrats had had the guts to run on the President’s record. But now the shoe is on the other foot: Obama faces trash talk left, right and center – literally – and doesn’t deserve it. Despite bitter opposition, despite having come close to self-inflicted disaster, Obama has emerged as one of the most consequential and, yes, successful presidents in American history. His health reform is imperfect but still a huge step forward – and it’s working better than anyone expected. Financial reform fell far short of what should have happened, but it’s much more effective than you’d think. Economic management has been half-crippled by Republican obstruction, but has nonetheless been much better than in other advanced countries. And environmental policy is starting to look like it could be a major legacy. I think one of the problems the President has is that he is a canvas on which each person paints the picture of what they want him to be. Michelle Bachmann sees him as a non-Christian, non-American. Cornel West thinks he is a ‘counterfeit progressive”, meaning, I guess a conservative in progressive clothing. The problem is people do not look at facts. And they certainly don’t understand the character of the man. I found this description of him on the golf course very apt. One of the golfers who played with Mr. Obama said the way the president carried himself on the course provided significant insight into his character. This is why after the mid-term elections, President Obama was able to have what Kevin Drum writing in Mother Jones magazine was able to call “a Hellava month”. Drum lists his accomplishments during November and December. Here are a few from his list. November 11: Concluded a climate deal with China that was not only important in its own right, but has since been widely credited with jumpstarting progress at the Lima talks last week. November 20: Issued an executive order protecting millions of undocumented workers from the threat of deportation. November 26: Signed off on an important new EPA rule significantly limiting ozone emissions. December 17: Announced a historic renormalization of relations with Cuba. Plus a number of judicial and other nominees were approved by the Senate before they went home for the holidays. Jennifer Bendery explains in the Huffington Post. If there’s one thing from 2014 that will define President Barack Obama’s legacy after he’s left the White House, it’s the number of lifetime judges he put on the federal bench. In its final act of the year, the Senate blew through a dozen U.S. district court nominees on Tuesday night. That puts Obama at a whopping 89 district court and circuit court confirmations for the year, and means he’ll wrap up his sixth year in office with a grand total of 305 district court and circuit court confirmations — a tally that puts him well beyond where his predecessors were by this point in their presidencies. It may be that, in the end, his biggest effect on the judiciary isn’t sheer numbers as much as the diversity of his judges. Forty-two percent of Obama’s confirmed judges are women, 19 percent are black and 11 percent are Hispanic, according to data provided by the White House. Eleven of his confirmed judges are openly gay or lesbian. Even the 12 nominees confirmed Tuesday night will make a mark: Robert Pitman will be the first openly gay judge to serve in the Fifth Circuit, which includes Texas, Louisiana and Mississippi. Loretta Biggs will be the first black woman to serve as a district judge in North Carolina. The most interesting part of the nominee confirmation story is that the last were made possible by Senator Ted Cruz who probably had no idea what he was doing. Democrats spent the final days of the lame duck thanking Sen. Ted Cruz (R-Texas) for inadvertently helping to expedite votes on Obama’s nominees. On Friday, Cruz derailed a plan by party leaders to leave for the weekend and come back Monday in an effort to force a show vote on Obama’s immigration executive action. The stunt kept senators in session all day Saturday, with hours to kill. So, Senate Majority Leader Harry Reid (D-Nev.) used the time to tee up votes for the 12 district court nominees still on the calendar. With two years to go, I don’t think any of us should write President Obama off as a “lame duck”. He seems to be freed by not having to run for office again. We all need to stay tuned to see what he does next. Photograph: Uncredited from Mother Jones. Maybe it is just what seems to be a very long, cold winter (As I start writing this it is snowing again, but I hope not for long.) that is getting to me but I’m thinking this morning about natural ebbs and flows of plants and animals and the influence of man for both good and bad. 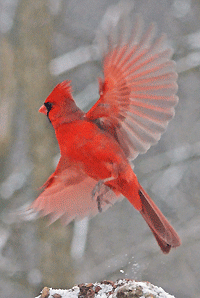 We participate in the Great Backyard Bird Count every year and they are reporting some preliminary findings from February’s count. Although much more data have yet to be recorded, here are some of the trends noted so far. Fewer Finches After last year’s “superflight,” this year’s GBBC reports for 10 irruptive species (mostly finches) are down considerably. This includes reports for the White-winged and Red crossbills, Common and Hoary redpolls, Pine and Evening grosbeaks, Pine Siskin, Purple Finch, Red-breasted Nuthatches, and Bohemian Waxwings. These are believed to be natural fluctuations in numbers because of variation in seed crops. Snowy Owl Invasion Continues A massive irruption of Snowy Owls into the northeastern, mid-Atlantic, and Great Lakes States of the U.S., as well as southeastern Canada, is easily seen in GBBC numbers. Preliminary results show participants reported more than 2,500 Snowy Owls in 25 states and 7 provinces of the U.S. and Canada! The Polar Vortex Effect The frigid cold in many parts of North America has resulted in unusual movements of waterfowl and grebes. With the Great Lakes almost completely frozen, some species, such as the White-winged Scoter and the Long-tailed Duck, have fled the frozen lakes and stopped at inland locations where they are not usually found at this time of year. A basic principle of any library is that you return what you take out. By that standard, the new scheme at Hampshire College’s library is a roll of the dice. Since last November, librarians have been lending out packets of seeds, allowing people to plant them, and checking them back in if—and only if—the borrower manages to grow thriving plants in the meantime. The Hampshire College project is part of a small but growing group of “seed libraries” across the country, local centers that aim to promote heirloom gardening and revive a more grass-roots approach to seed breeding. The concept is pretty simple: You check out some seeds, plant them, let some of them go to seed and then return the seeds. But there is always the chance that you won’t get back the same variety. Why is plant diversity important? Think about the Irish Potato Famine. One of the many reasons I’m looking forward to summer is the re-opening of local farmer’s markets and the opportunity to try new varieties. Plant diversity is another reason to grow and buy locally. The Polar Vortex (and who had ever heard of it before this winter) has changed the migration and winter nesting of some birds, but man also changes patterns with building, clearing for agriculture, dams, and other structures. Factory farms lead to less diversity in what we can purchase and eat and can lead to blight requiring more pesticides and fertilizer. This impacts every thing that eats whatever is grown this way. I know we will never go back to the era when everything was grown on the family farm – there are just too many of us and more and more of us are living in urban areas – but being aware never hurts. Increased violence. Another consequence of global warming? I read a lot of mystery stories. Old ones, new ones, ones set in times past and ones set it the future. A common thread is it is summer and a heat wave so crime is up. You hear this every spring from the Boston Police and the Mayor – we need to prepare for the combination of hot weather and school being out. So is this just an urban myth? Maybe not. A new study to be published in the journal, Science, was summarized in Sunday’s New York Times. But researchers are now quantifying the causal relationship between extreme climate and human conflict. Whether their focus is on small-scale interpersonal aggression or large-scale political instability, low-income or high-income societies, the year 10,000 B.C. or the present day, the overall conclusion is the same: episodes of extreme climate make people more violent toward one another. In a paper published this month in the journal Science, we [MARSHALL BURKE, SOLOMON HSIANG and EDWARD MIGUEL] assembled 60 of the best studies on this topic from fields as diverse as archaeology, criminology, economics, geography, history, political science and psychology. Typically, these were studies that compared, in a given population, levels of violence during periods of normal climate with levels of violence during periods of extreme climate. We then combined the results from those studies that concerned modern data in a “meta-analysis,” a powerful statistical procedure that allowed us to compare and aggregate findings across the individual studies. We found that higher temperatures and extreme rainfall led to large increases in conflict: for each one standard deviation change in climate toward warmer temperatures or more extreme rainfall, the median effect was a 14 percent increase in conflict between groups, and a 4 percent increase in conflict between individuals. The study went beyond the present day, back to the collapse of several civilizations: The Maya, Angkor Wat and the Akkadian in Syria. Climate appears to have played a role in the collapse of each. What explains the strong link between climate and conflict? Different mechanisms are most likely operating in different settings, but the two most important factors appear to be aggression and scarcity. The aggression factor is intuitively easy to understand (again, recall summer in the city), and it probably underlies the finding that anomalously hot months have significantly higher crime rates in cities in the United States. As for scarcity, the logic is only slightly more complex. In low-income countries largely dependent on agriculture — like those in much of sub-Saharan Africa and parts of Asia and Latin America — when the rains fail and temperatures scorch, crops wilt and die. This leaves many people dangerously close to the edge of survival, which can lead to social strife and even civil war. Our findings help us better understand both the past and the present, but they are particularly important for what they imply about the future. 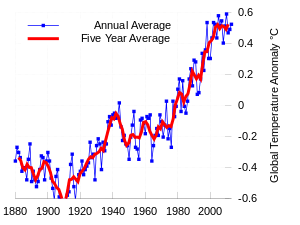 Many global climate models project global temperature increases of at least 3.6 degrees Fahrenheit (2 degrees Celsius) over the next half century. Our results imply that if nothing changes, this rise in temperature could amplify the rate of group conflicts like civil wars by an astonishing 50 percent in many parts of the world — a frightening possibility for a planet already awash in conflict. Decision makers must show an understanding that climate can fundamentally shape social interactions, that these effects are already observable in today’s world and that climate’s effects on violence are likely to grow in the absence of concerted action. Our leadership must call for new and creative policy reforms designed to tackle the challenge of adapting to the sorts of climate conditions that breed conflict — for instance, through the development of more drought- and heat-resistant agricultural technologies. As we contemplate intervention in Syria and look at the increasing and never-ending violence in Africa, we also need to ask ourselves some questions about violence here at home. Will global warming lead to increased domestic violence? What do we do with this knowledge and all the guns on the streets? And will anyone pay any attention? We just finished a week or so of 90+ temperatures with high humidity in Boston without air conditioning. We survived quite well. It wasn’t until day 6 or 7 that I really began to suffer – that the was day there was no afternoon sea breeze. Exhaust fans on each floor pull air through the house and smaller fans are placed in the rooms we use the most. We are lucky to have good four-way ventilation. Cool showers and cooking in the mornings = or not at all – also help. (We went out once to out favorite pub so find that their air conditioning was not 100%, but it was just fine.) I am one of those rare people that don’t like living in refrigerated air. So I was very interested in the Boston Globe article in the Sunday Ideas Section titled “How to Live Without Air Conditioning” In it, Leon Neyfakh points out the life style changes that we could make so that we at least reduce our energy consumption. 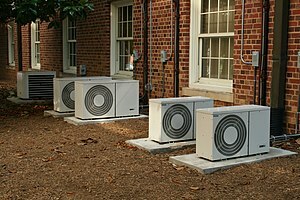 Since the technology was invented in 1902, and the first window unit was brought to market in 1939, air conditioners have become ubiquitous in the United States. Today, almost 90 percent of American households have one—as do the vast majority of restaurants, stores, museums, and office buildings. During weeks like the one we’ve just had, these places are sanctuaries: To walk into one after being outside is to be reminded how sweet life can be. But all that magic chilling comes at a cost—something most people are aware of on a personal level, because their electricity bills are so high during the summer, but not so much on a global scale, which is really where the problem lies. In China and India, air conditioning sales have reportedly been growing by 20 percent per year; around the world, air conditioning energy demand is projected to increase vastly over the next decades. According to Stan Cox, author of the 2010 book “Losing Our Cool,” air conditioning in the United States already has a global-warming impact equivalent to every US household driving an extra 10,000 miles per year. Think about that. And we continue to build office buildings taller and more dependent on artificial cooling. Yes, maybe some are energy efficient and green building, but they still consume vast amounts of energy. In Japan every summer, in an environmental initiative called “Cool Biz” that started in 2005, government officials encourage building managers to let temperatures climb to 82 degrees and advise employees to loosen their sartorial standards. In 2011, the government even put on a fashion show, with models catwalking in untucked polos, capri pants, and Kariyushis, a Japanese take on the Hawaiian shirt. Here in America, it probably wouldn’t require such a hard sell. Many female workers already dress for summer weather, and would likely be delighted not to have to huddle in sweaters against the A/C. Among men, polos are already considered appropriate on casual Fridays, and it’s not hard to imagine that most would happily embrace a breezier style for the rest of the week. Instead of long pants, they could don formal shorts—a concept that has long been embraced in Bermuda, where executives can be seen attending meetings with exposed knees. And people can do similar things at home. Even a mid-sized building could save considerable amounts every year by operating at shorts temperature. But if modifying what we put on our bodies could help us give up extreme climate control, rethinking buildings themselves—and how we ventilate them—would go even further. Already, some of us live in homes that can be effectively cooled by opening windows in the basement and on the top floor every morning, thus taking advantage of the so-called stack effect to pull cool air up through the house and allow hot air to vent into the street. People can also try “evaporative cooling,” a modest, low-tech form of air conditioning, by hanging wet towels in the window or setting them in front of a basic electric fan. Some of Neyfakh’s life style suggestions like changing to a work schedule with early morning hours, a mid afternoon siesta, and late work hours are a tougher sell: Too many people commute long distances. But people who telecommute could try raising the temperature at home a few degrees so that they at least don’t have fried brains and the inertia that comes with it. Also try adjusting blinds to follow the sun and plant trees. There are some parts of life, it must be said, for which air conditioning is not just a luxury but a necessity. The Internet depends on servers that require climate control in order to not go up in flames. Modern skyscrapers depend on it, as well. If we gave up air conditioning, New England would largely be fine, at least for now, but entire swaths of the country would become uninhabitable: Summers in the Sun Belt cities and in parts of the South would be so harsh that millions of people would simply move away. We also would be unwilling to take away A/C from those most sensitive to extreme heat—namely, the sick, the very young, and the elderly. That doesn’t mean that trying to reduce our society’s addiction to A/C is a fool’s errand. The fact is, our bodies are built to adjust to heat—it’s just that we haven’t had to lately, because we’ve become so accustomed to refrigerating ourselves when the weather gets hot. A study in which researchers surveyed 21,000 people, spread out across 160 buildings on four continents, found that “people in warmer climates were more comfortable in warmer indoor temperatures than their counterparts in cooler climate zones,” according to Richard de Dear, one of the coauthors. No doubt this is hard to believe, as you sit there in your air-conditioned home, happily soaking up the artificial breeze emanating from the murmuring machine in your window. But is there not something fearful about refrigerating ourselves with such vigilance? We’re not cartons of milk, after all; we will not spoil, even if we do sweat a little. In fact, by taking full advantage of the technology inside our own bodies—technology that makes it possible for us to adapt to a whole spectrum of temperatures—we might discover we’ve been missing out on a way of life that actually feels quite natural. Everyone doesn’t have to go air conditionless as we do, but there is nothing wrong, and much to gain by not making all of our buildings so cold. Maybe we can at least agree on a temperature like 80 or, like the Japanese, 82 and save some energy. I live across the street from a city park and often say it is my front yard. But sometimes the lawn mowing gets to me, and even worse are those horrid leaf blowers which just blow dirt around. And small stones. I need to get working on a campaign to ban them in Boston. Maybe that will be my next retirement project. But on to the sheep. 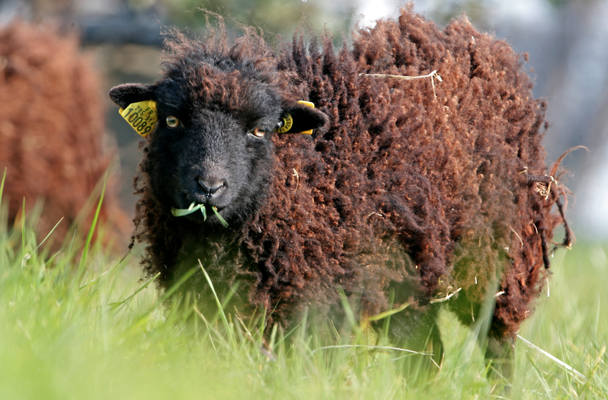 In case you missed the story, Paris is experimenting with sheep to mow lawns. This short story from the Boston Globe caught my eye the other day. PARIS — Will tourists soon see flocks of baahing sheep at the Eiffel Tower and bleating ewes by Notre Dame cathedral? That could be the case, since Paris City Hall this week installed a small flock of sheep to mow the lawn at the city’s gardens, replacing gas-guzzling mowers. Four ewes — shipped in from an island off the Brittany coast — are munching the grass surrounding Paris Archives building. One of the Paris sheep. I read this and wondered how they keep the sheep from wandering off. According to the Atlantic, they use an electric fence. I guess they would have to move it around to different grazing areas as they can’t keep the entire space blocked off. I think they should hire shepherds and a few dogs. Give some people jobs. They can use a portable pen at night. It’s honestly a pretty sensible idea. For centuries, if not millennia, grazing animals like sheep and cows have been used both to trim and to fertilize fields. In fact, many of the oldest urban parks were originally populated by farm animals, sometimes just during the day when their owners went into to town to do business. A funny if only marginally related story about in-town grazing comes from Cambridge, Massachusetts, a former suburb of Boston that’s now very much a part of the city. Back in the early days of Harvard College, one of the perks of being a professor was that you were allowed to graze your cow in Harvard Yard. Back in 2009, retiring professor Harvey Cox actually exercised this privilege when he brought his cow Faith to school. Actually, there shouldn’t be a lot of odor as sheep don’t do big patties like cows. And if they hire a shepherd she can rake it up – not with a leaf blower. I hope this catches on. I like the thought of a couple of sheep with a shepherd on Fort Hill. Plus it lowers noise pollution and helps with climate change and could create some jobs. Now that everyone in the world is striving to own a car, a television, at least one computer, air conditioners, electric lighting and other energy using devices we need to develop more, cheaper and better sources of energy. President Obama says we need to move away from carbon based fuel sources but still may approve the Keystone XL pipeline project. I used to be opposed to the pipeline because of the environmental damage caused by the actual building through the midwest, through farms and endangered dunes and prairies. 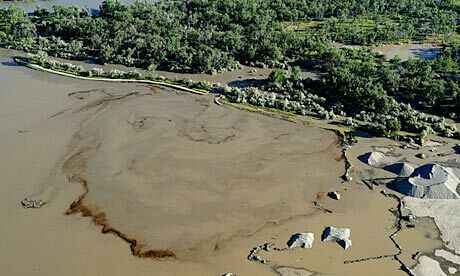 Oil swirls in the Yellowstone river after an Exxon Mobil pipeline ruptured near Billings, Montana. On Tuesday [April 2], vacuum trucks and crews were still working to clean up the accident, which the Environmental Protection Agency called a “major spill.” While it was unclear how much oil had leaked, Exxon Mobil said it had recovered thousands of gallons of oil mixed with water and had prepared for a spill as large as 420,000 gallons, though it said it believed that the amount released was smaller. The spill appears to be the largest accident involving heavy crude since an Enbridge Energy pipeline spill in 2010 that dumped more than 840,000 gallons near Marshall, Mich., soiling a 39-mile stretch of the Kalamazoo River. Somehow I can’t imagine what the interiors of the homes smell like. The odor of the oil can permeate everything including furniture, rugs and bedding. In addition to pipeline safety, I am learning more about the process of extracting the oil from the sand in Alberta. Extraction of the oil releases CO2, uses water and by some estimates uses more energy to extract the oil than the oil produces. So if our ultimate objective is to reduce dependence on fossil fuels and reduce green house emissions, extracting oil from the tar sands does not seem to be the answer. The Scientific American has a long and interesting article on the subject. If I understand the article, carbon is emitted twice: once during the extraction and then, a will all oil, during the refining process which turns the oil into gas or heating oil. The greenhouse gas emissions of mining and upgrading tar sands is roughly 79 kilograms per barrel of oil presently, whereas melting out the bitumen in place requires burning a lot of natural gas—boosting emissions to more than 116 kilograms per barrel, according to oil industry consultants IHS Cambridge Energy Research Associates. All told, producing and processing tar sands oil results in roughly 14 percent more greenhouse gas emissions than the average oil used in the U.S. And greenhouse gas emissions per barrel have stopped improving and started increasing slightly, thanks to increasing development of greenhouse gas–intensive melting-in-place projects. “Emissions have doubled since 1990 and will double again by 2020,” says Jennifer Grant, director of oil sands research at environmental group Pembina Institute in Canada. In the U.S. State Department’s review of the potential environmental impacts of the Keystone project, consultants EnSys Energy suggested that building the pipeline would not have “any significant impact” on greenhouse gas emissions, largely because Canada’s tar sands would likely be developed anyway. But the Keystone pipeline represents the ability to carry away an additional 830,000 barrels per day—and the Albertan tar sands are already bumping up against constraints in the ability to move their product. That has led some to begin shipping the oil by train, truck and barge—further increasing the greenhouse gas emissions—and there is a proposal to build a new rail line, capable of carrying five million barrels of oil per year from Fort McMurray to Alaska’s Valdez oil terminal. 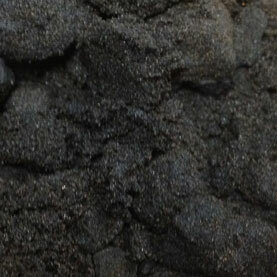 Then there’s the carbon hidden in the bitumen itself. Either near oil sands mines in the mini-refineries known as upgraders or farther south after the bitumen has reached Midwestern or Gulf Coast refineries, its long, tarry hydrocarbon chains are cracked into the shorter, lighter hydrocarbons used as gasoline, diesel and jet fuel. The residue of this process is a nearly pure black carbon known as petroleum (pet) coke that, if it builds up, has to be blasted loose, as if mining for coal in industrial equipment. The coke is, in fact, a kind of coal and is often burned in the dirtiest fossil fuel’s stead. Canadian tar sands upgraders produce roughly 10 million metric tons of the stuff annually, whereas U.S. refineries pump out more than 61 million metric tons per year. In other words, tar sands are just a part of the fossil-fuel addiction—but still an important part. Projects either approved or under construction would expand tar sands production to over five million barrels per day by 2030. “Any expansion of an energy system that relies on the atmosphere to be its waste dump is bad news, whereas expansion of safe, affordable and environmentally acceptable energy technologies is good news,” Carnegie’s Caldeira says. There’s a lot of bad news these days then, from fracking shale for gas and oil in the U.S. to new coal mines in China. Oxford’s Allen calculates that the world needs to begin reducing emissions by roughly 2.5 percent per year, starting now, in order to hit the trillion metric ton target by 2050. Instead emissions hit a new record this past year, increasing 3 percent to 34.7 billion metric tons of CO2 and other greenhouse gases. If we are serious about climate change and serious about carbon emissions, we will not build the pipeline. We can’t do much about what is going on in Canada, but we can not build terminals in Washington State and Alaska and stop pumping tar sands crude though existing pipelines. It will be argued that gas at the pump is too expensive. That is costs too much to heat one’s home in the winter and run air conditioning in the summer, but price is not determined solely by availability in the United States. Energy is now a worldwide demand. I hope President Obama does the right thing.